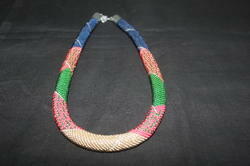 We are the leading organization in the market to offer the best quality range of Traditional Bead Necklace. We bring forth vast industrial experience and expertise in this business, involved in offering a high-quality range of Dulha Mala. Made up of bonded turquoise beads. We are engrossed in bringing forth a top class package of 108 Mala (Bead Mala). This Fancy Mala is crafted from premium grade material and is sure to be a good match with golden bangles. 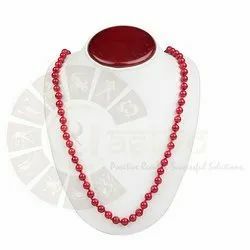 Our company has gained name and fame in presenting Ladies Beaded Necklace Set. We offer an ideal amalgamation of traditional and modern designs in the form of Colored Beaded Necklace Set. These sets are perfect in design, finish and further, available in immaculate colors. Moreover, our quality analysts assure that these are at par with the international norms and guidelines.